Have you ever read The Princess in Black’s The Hungry Bunny Horde? If not, you should! These adorably cute bunnies appear out of Monsterland and they are always hungry. My kids loved this book and so an activity was a must! 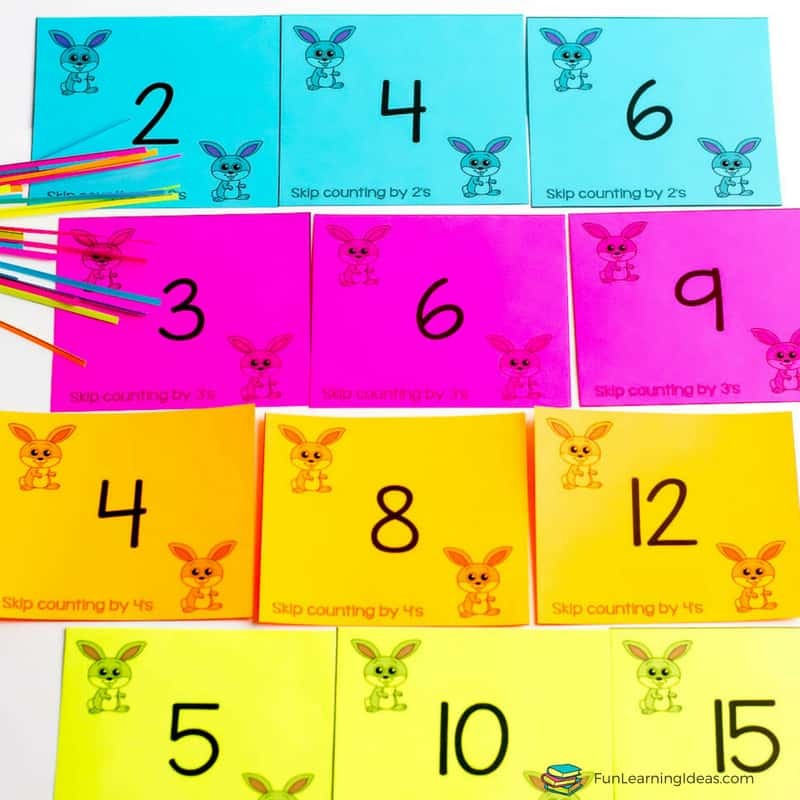 Inspired by these cute bunnies I have an easy Skip Counting Activity that you can download and use to work on skip counting by 2s, 3s, 4s and 5s. We have been learning how to skip count as a part of our memory work and the chants have definitely stuck. So far my kids have learnt how to count by 2s and 3s and next week we are tackling counting by 4s and counting by 5s. I also wanted a fun way for both my kids to review their memory work as a quick skip counting game and so these cards fit the bill. 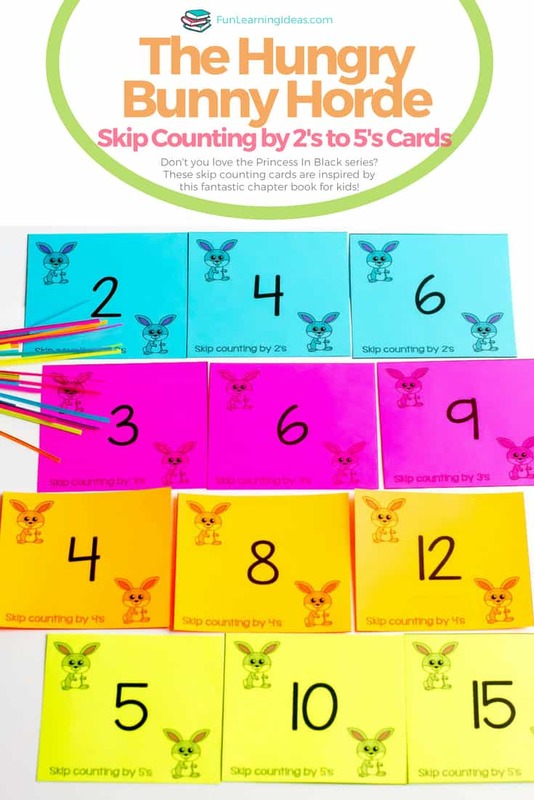 Now that you’ve read this awesome book that inspired these skip counting cards, lets get to preparing the cards. 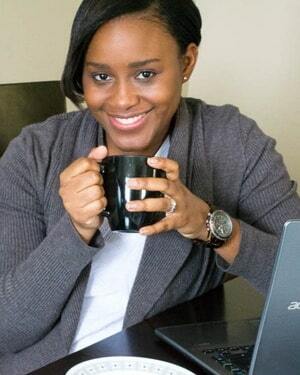 FIRST print the cards on regular printing paper or colored paper. I opted to print on colored paper so that we could easily distinguish the different cards. SECOND use a paper trimmer or a pair of scissors to cut out each card. 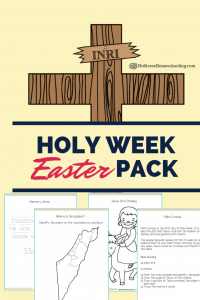 My kids are VERY competitive with each other and so this activity was perfect for them. 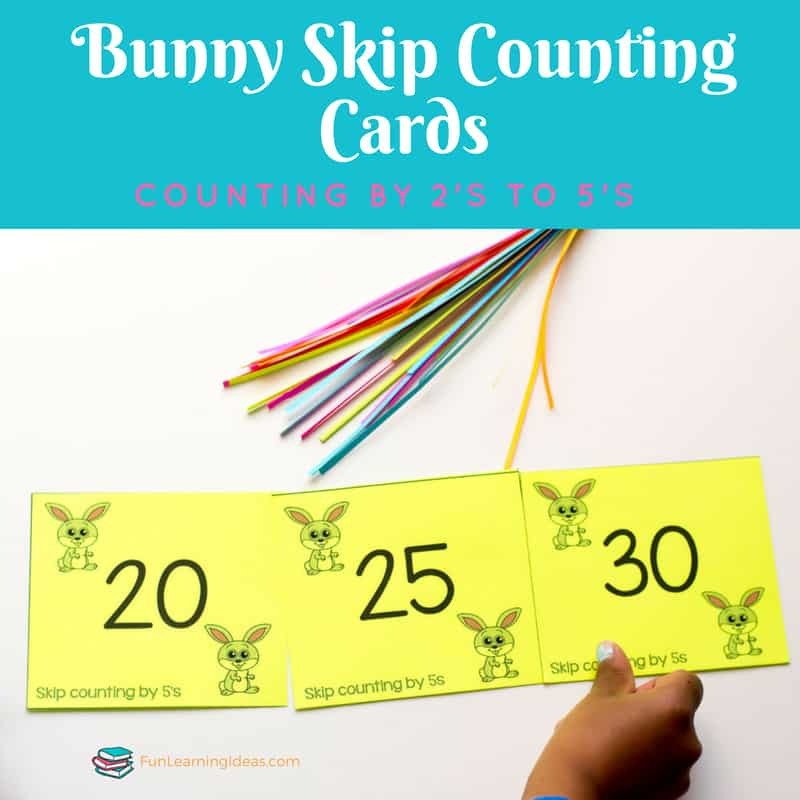 Simply print another set of skip counting cards, mix them up and have your kids sort them in the correct order as fast as they can. If you only have one student, have them beat a timer! Another way to use these cards is to simply place them in order and have your child sing the memory song associated with it. If no song is known, then simply chant or head over to trusty Youtube for a song. We personally found our songs through an app on Itunes. Have your child race to skip count backwards in the correct order!